This is an interesting off-season in the NFL simply because of Peyton Manning. Plenty of franchises are trying to lure him to play for their respective franchises. One guy who I’d hope he would be throwing the ball to this year is Randy Moss. Moss retired after a very disappointing 2010 campaign in which we saw Moss play with three different franchises in one season. Randy Moss though decided to come out of retirement because he simply wanted to just “play some football” and I’m excited about it. After working out with the San Francisco 49ers on Monday, Moss signed a one year deal with the team. I like this pickup for the 49ers because Moss can stretch the field and be the top option for the team. Moss is an all-time great talent with a spot in Canton when he officially calls it a career. 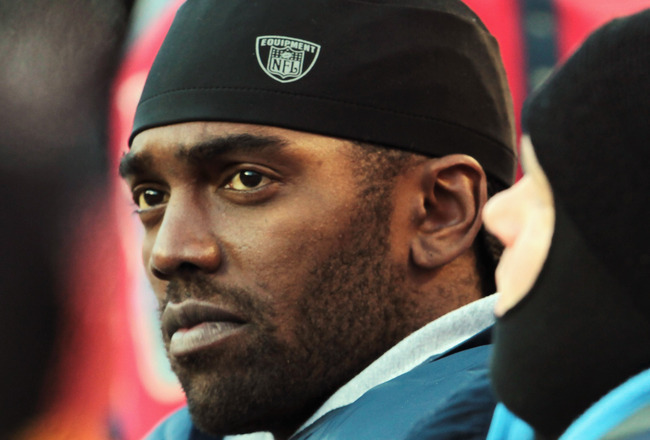 I sure hope the 2012 NFL season brings better fortune to Moss rather than that of the last time we saw him. This entry was posted in Media, Sports and tagged 49ers, Blended Entertainment, Entertainment, Football, NFL, NFL Free Agency, Randy Moss, Sports. Bookmark the permalink.